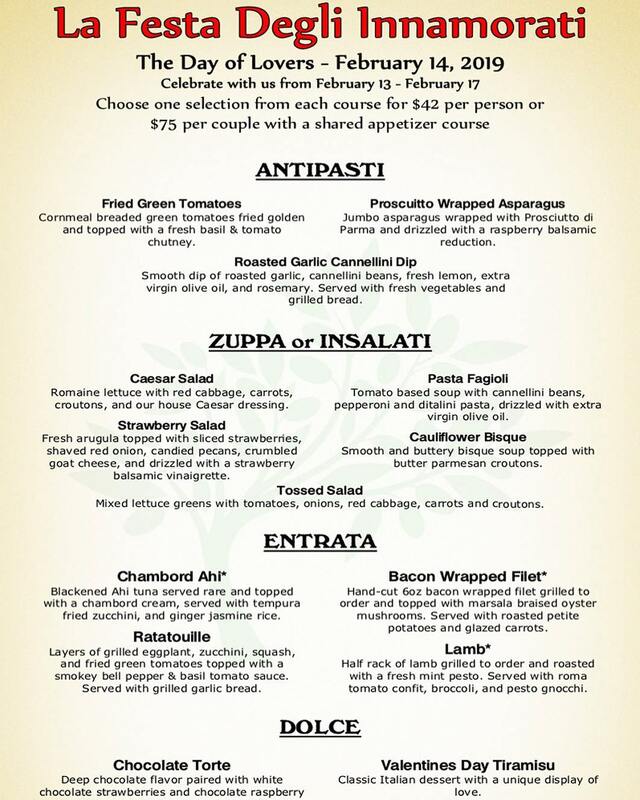 Avellinos presents La Festa Degli Innamorati: The Day of Lovers specials available from Wednesday, February 13, 2019 through Sunday, February 17, 2019. Celebrate the Day of Lovers with us! Customers will be able choose one selection from each course for $42.00 per person or $75.00 per couple with a shared appetizer course. To view the event flyer and full menu, visit: https://i.imgur.com/Xqi4Jmi.jpg. For more information, visit: http://www.avellinosrestaurant.com/ or https://www.facebook.com/AvellinosRestaurant or call 540-953-4040.